Product Details - Material - Cotton Rope ,Dimension -11 cm, Colour-Brown, Suitable-All Breeds Dogs. Product Information - Vinyl toys are made from quite soft plastic. These toys can be cleaned and thrown easily. 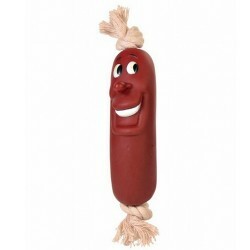 Snack Toy sausage chain of 11 cm. 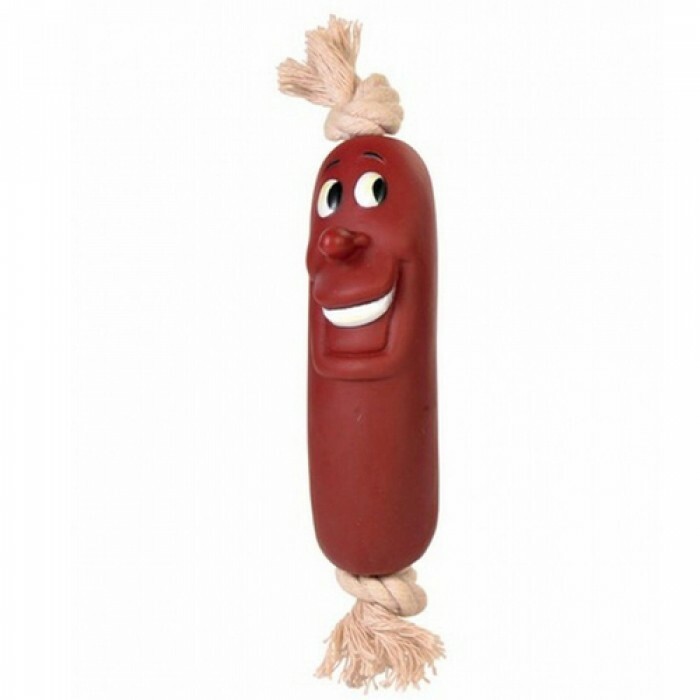 Funny toy for your dog Latex toy with cotton rope in brown colour.